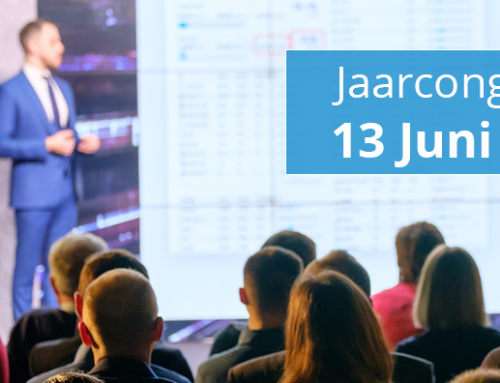 On 13 and 14 June, Livecom was present at the VNG Year conference in Goes. A conference specifically for the municipality market where council members, aldermen and mayors from all over the country got together to get to know each other – with ‘Professionalism’ as its theme. The VNG Conference takes place in Goes on 13 and 14 June. Council members, aldermen and mayors from all over the country get together to get to know each other – with ’Professionalism’ as the overarching theme. Key words such as ‘local attention’, ‘regional cooperation’, ‘interaction’ and ‘adding public value’ are more topical than ever within municipalities. What was remarkable and what noticed here is that municipalities struggle with socials (social media channels). On the one hand they feel it’s important to be present in social media channels for availability and accessibility towards citizens, but there are two sides to the coin. The other side of the coin is that citizens use channels to express their discontent, which elicits responses from hundreds of people – often even more negative. Aldermen and mayors told us how they struggle with this and that they had a hard time controlling the negativity. And we understand that. This is a huge challenge, especially for municipalities. A commercial company has a lot more means than a municipality to turn complaining customers into ambassadors. By being sympathetic to the customers’ concerns and by giving discounts or giving away free products. People will be quickly satisfied by that. But municipalities can’t do this. What do they have to give away? Discount on dog tax? That’s obviously not feasible for municipalities. Another thing we noticed during the conference is that the web care teams of municipalities, ‘suffer’ from red tape. Because social media is public, many municipalities have come up with rules for communication: the things teams can and cannot say, etc. Aldermen and mayors see that these rules do not work well in practice. The teams have insufficient authenticity to effectively manage and solve negative discussions. Simply because they aren’t allowed to write what they really should be writing. This also reflects in big social media cases in the renowned players market. It did work the moment those teams were given more (sense of) responsibility. The same applies to 1 on 1 channels, such as Live Chat, Facebook Messenger and WhatsApp. Employees are able to solve situations quicker and with higher customer satisfaction when they have been trained and given more (sense of) sensibility. Extra tools in the software’s ‘agent environment’ can help as well – such as pre-defined answers which the employee can always adjust or supplement himself/herself. This results in speedier and more consistent answers. The article about Midden-Drenthe Municipality ties in well with this subject. We understand that municipalities have to stay present in the socials. It’s what’s expected of them. We see opportunities in the field of thinking about good customer contact strategy. You can, for example, discuss when you answer a question in public (and which tone of voice you use) and when you pull someone over to a safe 1 one 1 (chat) channel: away from the public environment to help that person with his/her problem. Without half the municipality being able to read it and commenting on it. A bit of strategy and policy helps to tackle negative situations and to handle these smarter and more efficiently allowing you to maintain control as municipality. The VNG Year conference was very educational for Livecom. To hear what’s going in the municipal market. We are sympathetic to municipalities’ concerns and like to be a partner in the field of innovative online customer contact channels. This is a very topical issue for municipalities right now. Various people have told us that Live Chat is high on the agenda that it’s being discussed in the council. Frank Weerwind (mayor of Lelystad) also touched on this during his speech at the conference. “Municipalities are jointly starting-up new activities to innovate their service provision”. That also reflects back to our municipal customers, such as Drechtsteden Service Provision. They work for the Dordrecht, Sliedrecht, Hendrik-Ido-Ambacht and Alblasserdam municipalities and work closely together with Papendrecht, Zwijndrecht and Hardinxveld-Giessendam in the field of customer contact.